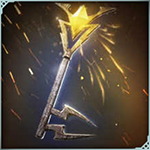 Lyris is unlocked through Daily Rewards. This powerful bolt of lightning felled hundreds of Ruin vessels during Lyris' escape from her realm. Calls down a bolt of lightning, dealing 94 - 104 damage to a single target. The first time Lightning Bolt strikes a target it takes an additional 48 - 54 damage. 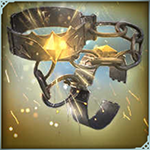 An enchantment similar to that used by Lyris to power the turbines during her incarceration. Allies move and attack 40% faster for 5.00 seconds. Unfortunately, the unstable nature of this spell reminds Lyris of her elder sisters, Kyna and Serra. Blasts a single target for 144 - 159 damage and nearby structures by 71 - 79 damage. If destroyed within 20 seconds the spell is recast on a nearby target for no cost. Consume to increase the rarity of Lyris. Increased by one step up to a maximum of Epic. Consume to increase the rarity of an Epic Lyris to Legendary. Consume to increase the rarity of a Legendary Lyris to Mythic. 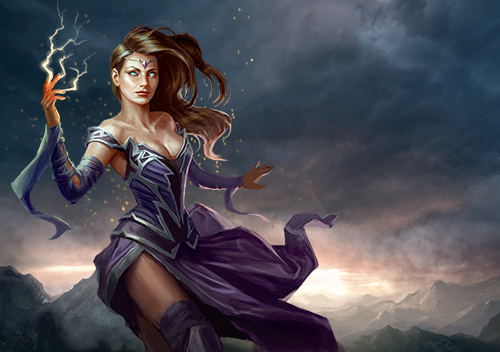 Lyris is the youngest of three lightning spirits, her sisters being Kyna and Serra. 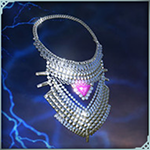 They were captured and held captive for many years on a realm where their ability to generate and harness lightning was used to power large turbine-like constructions. These provided energy for an entire settlement.